The Spring Garden Street Greenway is a new project that aims to transform the 2.2 mile crosstown arterial road. Currently the road is a four lane highway of fast moving traffic next to its well used bike lanes. The project aims to improve the corridor by calming traffic & making the route safer for bicyclists, pedestrians, and motor vehicles. 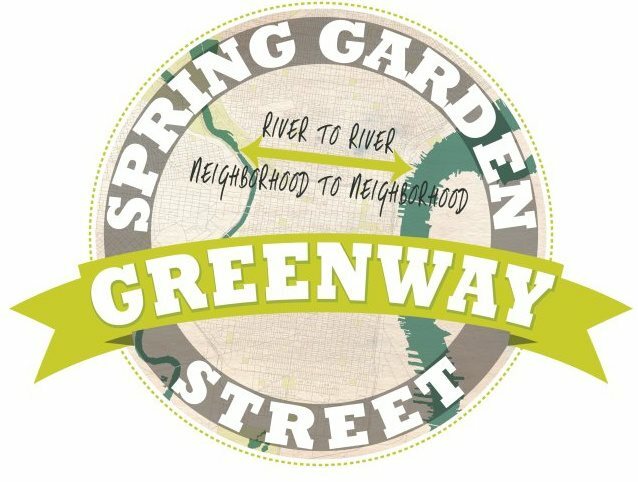 It will also transform Spring Garden into a green street by managing stormwater more sustainably and putting Philadelphia on a national landmark trail route, the East Coast Greenway. A public input meeting will be held to allow you to share your ideas and concerns about the project. I love the idea for the greenway as I use the bike lanes on spring garden everyday on my commute, but why not spend all this money on constructing bike lanes elsewhere in the city where there aren’t bike lanes already? We're glad you love the idea - you should attend the meeting! This will accomplish more than simply making the street safer for bikes. As for other lanes, we are working on seeing more lanes, but money is not the only, or necessarily even the most important, hindrance. Would love to, but doubt I would be home from work in time. I'm curious to hear what comes out of the meeting though.